My life has been significantly impacted by cancer and I don't want other families to have to experience what I have. Instead, I want the "healthy choice to be the easy choice" so that every individual can reduce their risk of developing cancer. I want every cancer patient and survivor to be offered lifestyle behaviour change support in a format that is appropriate for them, at every stage of their cancer journey. I have two dreams: 1. To substantially reduce the proportion of cancers caused by lifestyle behaviours (consuming a poor quality diet, being inactive, being overweight, consuming alcohol and smoking). 2) To inspire, motivate and support cancer patients and survivors to make and maintain lifelong healthy lifestyle choices. I am working towards a better understanding of how to deliver multiple health behaviour change interventions for cancer prevention. Specifically I am exploring whether programs should attempt to change behaviour one at a time or simultaneously, and innovative methods for analysing the results of multiple health behaviour change interventions. Professor James' research focuses on behavioural nutrition and physical activity in relation to cancer prevention and control. More than 40% of new cancer cases are linked to lifestyle factors, and about one-third of all cancers are preventable through a healthy diet, being physically active and maintaining a healthy weight. Professor James conducts research across the cancer continuum from prevention through diagnosis, treatment and survivorship. In primary prevention she conducts research to explore beliefs about cancer risk, social marketing to improve cancer risk factors, and behaviour change trials designed to reduce cancer risk behaviours. For example, she is involved in research in partnership with Cancer Council NSW exploring community understanding of the link between lifestyle behaviours and their individual cancer risk, and in conducting experiments to better understand the role of celebrities and message framing for cancer prevention social marketing campaigns. She is also leading an NHMRC-funded trial exploring promotion of physical activity among insufficiently active adults attending primary care. Professor James also works with cancer patients and survivors. In partnership with Cancer Council NSW, she devised and developed the ENRICH (Exercise and Nutrition Program Improving Cancer Health) program which is a multiple health behaviour change intervention targeting cancer survivors and their carers. It consists of group-based, face-to-face behaviour change counselling targeting healthy eating education, a home-based walking (utilising a pedometer) and resistance training program (utilising an elastic tubing resistance device). ENRICH was evaluated vis a pragmatic RCT and results indicated that participants increased (objectively assessed) physical activity and vegetable consumption, and these improvements were maintained after program completion. This is the first trial of its kind to successfully impact both a dietary and physical activity behaviour in a program for survivors and their carers. ENRICH has subsequently been adopted by Cancer Council NSW and is being delivered across the State. Professor James holds an undergraduate degree in exercise science, postgraduate qualifications in health promotion, a Masters in Business, and a PhD in public health (behavioural epidemiology). From 1998-2006 she was Lecturer/Senior Lecturer in Public Health Research at La Trobe University, and received an Excellence in Research Award (1999) and an Excellence in Teaching Award (2004). 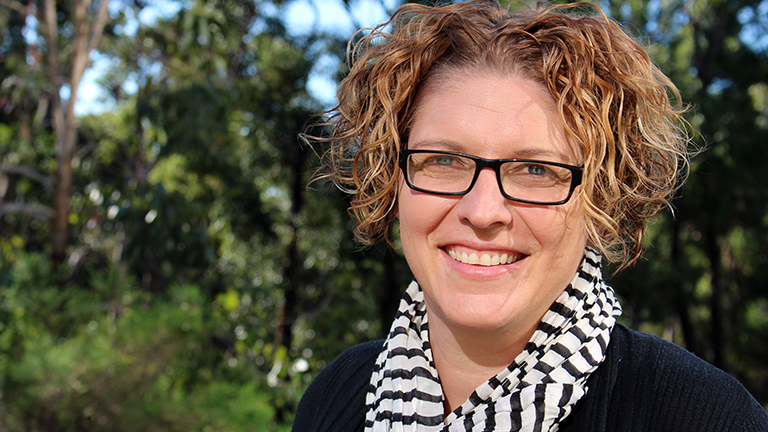 From 2007-09 she was a Senior Research Academic at the Centre for Health Research and Psycho-oncology (CHeRP), in 2010 was appointed Associate Professor in Public Health at the University of Newcastle and in 2018 was promoted to Professor. Prof James is a Chief Investigator in both the Priority Research Centre in Health Behaviour and the Priority Research Centre in Physical Activity and Nutrition at the University of Newcastle. Prof James works with the public health group located within the Hunter Medical Research Institute building at the John Hunter Hospital campus. She is a co-lead of the Special Interest Group in Cancer for the International Society of Behavioural Nutrition and Physical Activity (ISBNPA).